Our homeschool co-op meets at a church, but they do not want to bill us for rent. The co-op gives a gift/donation to the church as a thank you and so the church records it that way for their tax purposes. Do we need to classify our “donation” to the churches as rent? We have been informed by the church that this would affect their taxes and financial recordings since they are classifying our payment as a donation received. The last thing we want to do is cause problems for the churches sharing their space with us. Please advise/explain. Let me start off by saying that simply calling what you give to the church a “donation” is a simply renaming the payment. Calling your payment a donation does not change the fact that you are giving money to this church in exchange for use of its space. Even if they do not bill you, it is payment for use of space and not a donation. Be honest. Call it what it is in your records: rent. What the church wants to call it is up to them. IRS federal income tax exemption. The church has 501(c)(3) tax exempt status as a religious organization and probably also charitable and educational purposes as well. So long as they stick to religious, charitable, and educational activities their 501(c)(3) status is not in jeopardy. But renting space is a commercial activity and not religious, charitable or educational. So the IRS considers income from renting space as “unrelated business income” and will charge an unrelated business income tax called UBIT on the profits from the rented space. Whether the group renting the church space helps the church fulfill its mission in some way. There is no UBIT if the tenant’s activities helps the church meet its mission. Your homeschool co-op, if religious in its purpose, helps the church accomplish its mission and the rent you pay would not be an unrelated source of income for the church. Whether the church is charging fair market value for the space. If they are charging above fair market value, there is a profit and therefore tax to pay. The church has a mortgage or other debt financing on the building (called debt-financed property by the IRS). If the building is debt financed property, the rental income is unrelated business income and therefore taxable. If the church determines they have unrelated business income, they will have to file a Form 990-T to declare the unrelated business income. But they are also allowed to deduct any expenses related to the rental income such as utilities, custodian care, etc. Typically the expenses outweigh the income and so no tax is owed. But the church needs to file the 990-T to prove that don’t owe any tax. Kelly’s nonprofit homeschool group’s exempt purpose (religious and educational) helps fulfill the church’s mission and does not threaten its 501(c)(3) status. The church, if it has a mortgage, may need to prepare a IRS Form 990-T and may (or may not) owe UBI tax on the rental income. So, in other words, it is the church’s mortgage that could cause UBIT, not the fact that Kelly’s group is paying rent to use their space. . The church may be concerned about its property tax exemption from the state or county. In general if the tenant’s mission matches the church’s mission (religious, charitable and/or education), the church’s property tax exemption is not jeopardized. BTW, if your homeschool group is not a nonprofit organization (meaning it is a for-profit business), using church property could endanger the property tax exemption of the church. The loss of property tax exemption can be in whole or in part; it depends on local and a state property tax exemption laws. Kelly’s organization is a nonprofit with religious, charitable and educational purposes. It’s use of the church building does not threaten the church’s property tax exemption. Kelly could go back to the church and determine the basis for their concern. In all likelihood things will continue as usual with Kelly’s organization making a payment to the church as they see fit. I recommend that Kelly record this in her group’s bookkeeping as “rent.” How the church wishes to record it is ultimately up to them, but in my opinion (and other professionals’ opinions), it is not a donation; it is payment for use of space. 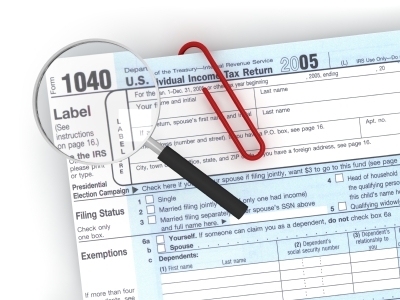 Hopefully the church will be honest to the government and prepare the Form 990-T, if required. This is rendering to Caesar what belongs to Caesar (Matt 21:22). Whether or not the church will owe UBI tax on this money is dependent on if they have a mortgage on the building and the amount of expenses they have.